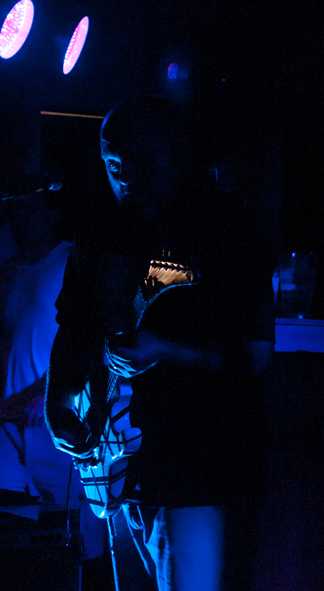 Please take a look at this photograph I took of the guitar player of a local bar band. Tell me what you like and don't like about this photo. First thing first: amazingly, you managed quite well with the K7 at ISO 6400 !!! For me, I would like a little bit more "light" onto the player but I still like the overall effect here. Aside from that, great shot with the ambiance. The two pinkish lights in the top left corner interfere with the intend of this take. Too much top space, a light crop would balance the pic better. Last edited by Schraubstock; 04-05-2016 at 09:55 PM.